Discover Everything You Need To Take Charge Of Stress And Start Relaxing Today! A Life Transforming Guide Indeed! "Stress and Relaxation Ultimate Guide" is just what you need to finally take control and rid yourself of stress and welcome relaxation once and for all! 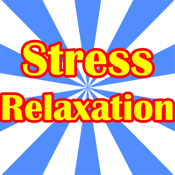 Managing stress and knowing how to relax are both absolutely necessary to having a healthy and happy life. Stress is a normal part of the hectic lifestyle we all live today. Learning how to handle that stress and finding methods to relax is no laughing matter. Change your habits, learn how to relax or you are facing a potential catastrophe. You owe it to yourself and your loved ones to get a handle on your runaway stress and learn to relax. Stress does not need to control your life. Relaxation is possible. Take control now!